The following is a list of current groups open to members of the Newcomers Club of Carmel. Specific information regarding the meeting times and locations can be found in the newsletter. If you are interested in joining Newcomers Club of Carmel or trying out some activities before you join, call our answering service at 317-564-8349. They will put you in touch with the group leader of the activities you’re interested in. A limited number of activities run during the summer months. The movie group meets the last Tuesday of the month at a local theater for a matinee show time. Members receive an email the Friday before that Tuesday, listing the movie chosen and the arrival time. Call the group leader to get on the email list. -Bibliophiles: Bibliophiles meets the 4th Thursday of the month, including summer months, at 9:30 a.m. in a member’s home. Another member facilitates discussion of the selected book. Book selections include multiple genres — classics to best sellers, fiction and non-fiction. –Book Worms: The Book Worms meet the 1st Wednesday of the month, including summer months, at 9:30 a.m. in a member’s home. Another member facilitates discussion of the selected book. Book selections include multiple genres — classics to best sellers, fiction and non-fiction. –The Library: The Library book club meets on the 2nd Thursday of each month at 7:00 p.m. Monthly book selection and meeting location are listed in the Newsletter. –Couples Bridge: A fun-loving bunch that meets the 2nd Saturday of the month, from September through May, at 7:00 pm. We are always looking for new substitutes and for couples who would like to begin another group. Bridgettes: This is a Bridge-Learning group which meets on Mondays for lunch at a local restaurant. Play begins after lunch. A basic knowledge of the game is required. Meets the 2nd Tuesday of the month at 11:30 a.m.
Evening Bunco: Meets 1st Thursday at 7:00 p.m. This group is meeting the 2nd Thursday of each month. There is a limit of 16 players. New players always welcome. No experience needed. Meets in members’ homes the 4th Wednesday of the month at 11:30 a.m. Each member shares food they have prepared in keeping with a theme, along with copies of the recipe. Specific information posted in the monthly newsletter. Meets in a member’s home five times a year. This group meets the second Monday of each month. We welcome you to join us for an enjoyable review of current news and hot topics. Bring a news article or just come to share in the discussion. It’s a great time to join in the fun at Fifth Train (Mexican Train Dominoes). If you’ve never played, we’ll teach you. Come play and laugh with us. This group meets the 1st Wednesday of each month. We are a fun-loving group that meets at MCL Cafeteria’s private room, 1300 Keystone Way in Carmel. We eat first and then start playing around 12:15. Cost is $3.00. This group meets the 2ND WEDNESDAY of each month. Please join us for a fun-filled afternoon of Euchre at a members home. Dessert is provided. This group visits different interesting local sites each month. The monthly newsletter will give plans for the current month. This family history preservation and genealogical research group shares resources, experiences and support. A seasonal activity meeting May through October. Look for our info on the Spring website. This popular group meets the 3rd Wednesday of each month at 10:00 to make various items of jewelry plus other decorative items. This group meets the 2nd Friday of the month in players homes. Sometimes twice a month. Please bring $3 change and a Mahjongg card. New players welcome! On the 3rd Tuesday of the month at 11:30 a.m., this group gets together to eat and socialize. We eat at a different restaurant each month. This group is a great opportunity to check out the local restaurants, as well as to get to know one another. Come as often as you can. Specific information posted monthly in the newsletter. This night-time group is for couples or other twosomes who would like to play double deck pinochle. If you haven’t played in a while or would like to learn, lessons are available. Is a group of women who perform various endeavors to fulfill civic responsibilities. Currently we are involved with volunteer work at local nursing facilities. Check the newsletter each month for details. Meets for lunch at 11:30 a.m. each Wednesday at MCL (NW corner of Keystone & 116th Street) and then plays scrabble until about 3:00 or so. Join us anytime, no matter your level. We will teach you the game and help you improve your skills. This laid back group is for beginners or rusty players. The group meets at 12:30 p.m. every Friday at Barnes & Noble Bookstore at 14790 N. Meridian (west side of Meridian & Greyhound Pass). If you are looking for a fun group that enjoys sharing patterns and ideas while working on our knitting, crocheting or needle work projects, please join us the first or third Tuesday of each month. This group meets on Fridays at 9:00 a.m. for walking and then for coffee/tea afterward. 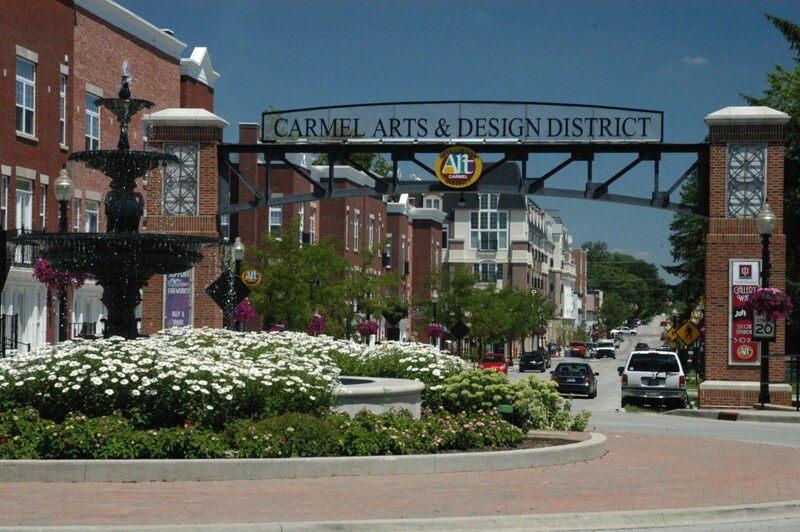 We vary our walking locations (Carmel/Broad Ripple), so get on our group leader’s email list and then check your email each week for details re: location and directions. Enjoy a fun atmosphere for both couples and singles to get together and discover different wines and good conversation. September through May, the group meets in a member’s home the 3rd Friday at 7:00 p.m. A different theme is planned each month. Attendees are expected to bring a bottle of wine under $20 in accordance with the theme and a light appetizer or snack. RSVP is a must! Your hostess will give you the wine type and theme when you call her.